containerd is graduating within the CNCF! As of February 28, 2019, containerd is officially a graduated project within the Cloud Native Computing Foundation, following Kubernetes, Prometheus, Envoy, and CoreDNS. We'd like to thank the amazing containerd community for making this all possible and we're excited for the future of the project. You can read the official announcement on the CNCF website. containerd is available as a daemon for Linux and Windows. 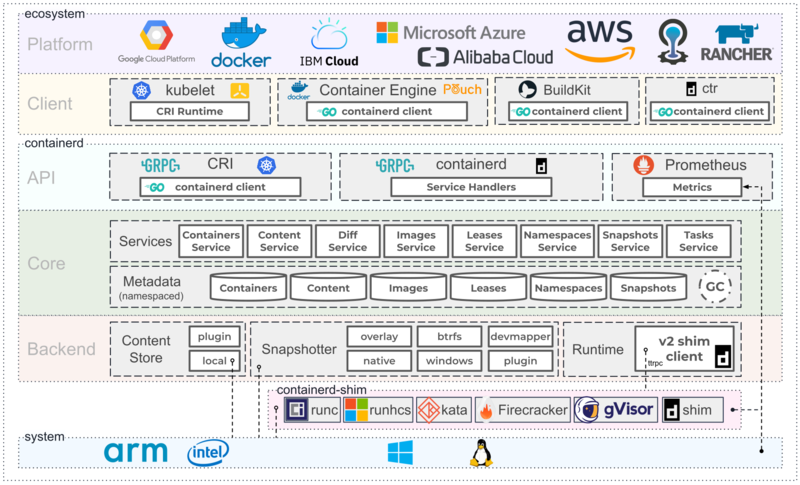 It manages the complete container lifecycle of its host system, from image transfer and storage to container execution and supervision to low-level storage to network attachments and beyond.